The Austin Mystery Writers blog has been quiet for several months, but we’re still living the Writing Life. Here’s what’s been going on. In November, AMW members, along with Scott Montgomery, Crime Fiction Coordinator at MysteryPeople in Austin, appeared on a panel discussing AMW’s crime fiction anthology, MURDER ON WHEELS (Wildside, 2015), at the Wimberley Village Library in Wimberley, TX. Laura Oles is editing her novel, DAUGHTERS OF BAD MEN, to be published by Red Adept in winter of 2017. Her story “Ocean’s Fifty” will appear in DAY OF THE DARK, an anthology compiled and edited by Kaye George. DAY OF THE DARK will be released by Wildside Press on July 21, 2017, exactly one month before the total solar eclipse that will occur on August 21. Kaye describes the anthology in “More Eclipse Glimpses “ on her blog, Travels with Kaye. 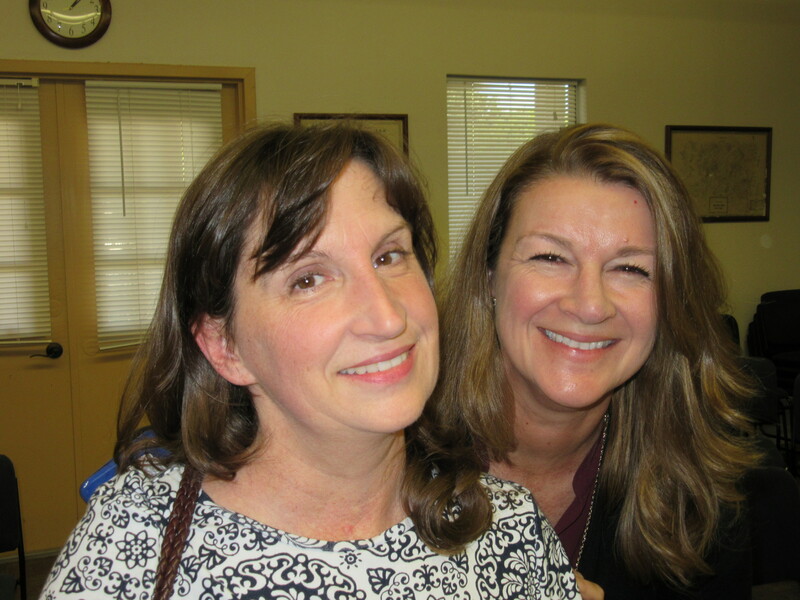 Laura also attended the mystery conference Malice Domestic 29 in Bethesda, MD on April 28-30. In November, V. P. Chandler’s story “Kay Chart” appeared on the MysteryPeople blog. V. P. categorizes “Kay Chart” as historical suspense and says it’s “creepy.” (It is.) She’s now revising GILT RIDDEN, a historical mystery set in the Texas Hill Country. She details more of her activities on her blog. 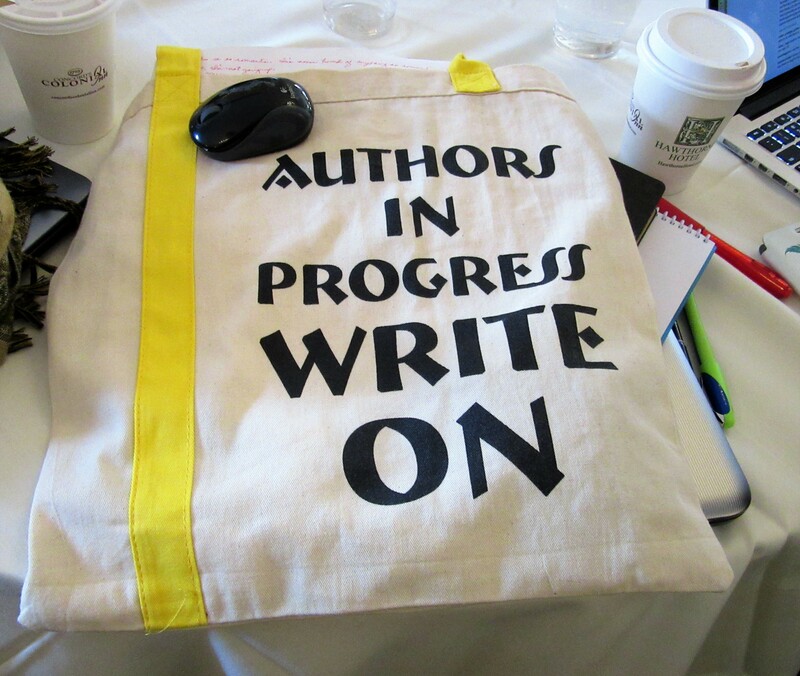 V. P. also attended the second Writer Unboxed UnConference in Salem, MA in November. She’s a moderator of the Writer Unboxed website and a contributor to WU’s Author In Progress: A No-Holds-Barred Guide to What It Really Takes to Get Published (Nov. 2017). The book comprises over 50 essays by professionals in all areas of the industry and covers the writing process from pre-writing to post-publication. Patric Sanders is working on HOSTILE HARBORS, the third book in the Wolf Richter series, set in New England and New York City, and on a thriller, LETHAL ENCOUNTERS, set in Germany, the Pacific Northwest, Italy and Hawaii. Patric’s first novel, THE TREASURE OF THE BARRIER REEF, an adventure story set in Australia, was published by Random House-Germany. Inspired by events of his life in East Germany during the Cold War era–he witnessed the construction of the deadly Berlin Wall, served as a draftee at a secret radar station in the People’s Army, was harassed by the secret police Stasi, was fired because he ‘fraternized’ with British engineers, and planned an adventurous escape to breach the Wall–he wrote the first two volumes of the Wolf Richter-series: Chasing the Sun: Action-Packed Cold War Thriller and Singed By The Sun. 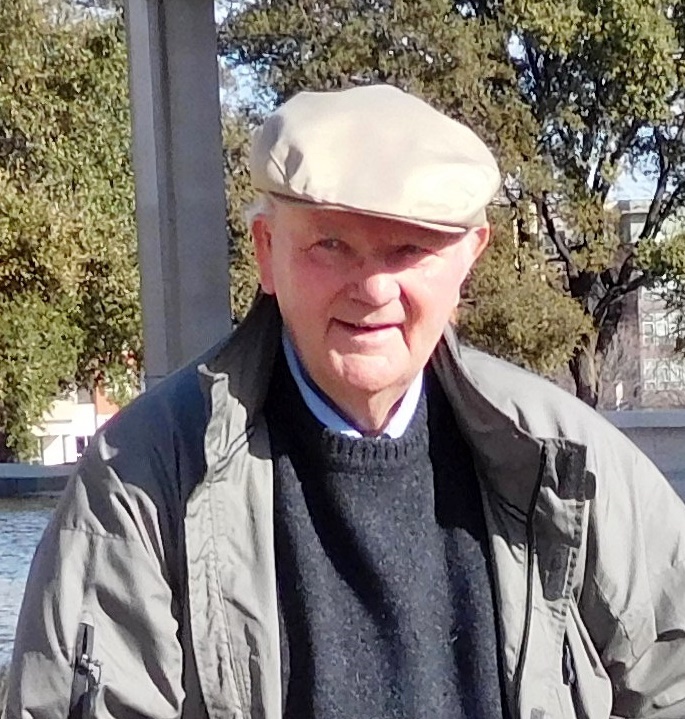 To learn more about Patric, read V. P. Chandler’s interview with him here. Kathy Waller’s story “I’ll Be a Sunbeam” will be included in DAY OF THE DARK, along with Laura’s. Kathy’s “The Snake” won the Knife Story Challenge presented to members of Sisters in Crime Heart of Texas chapter by member author Eugenia Parrish. 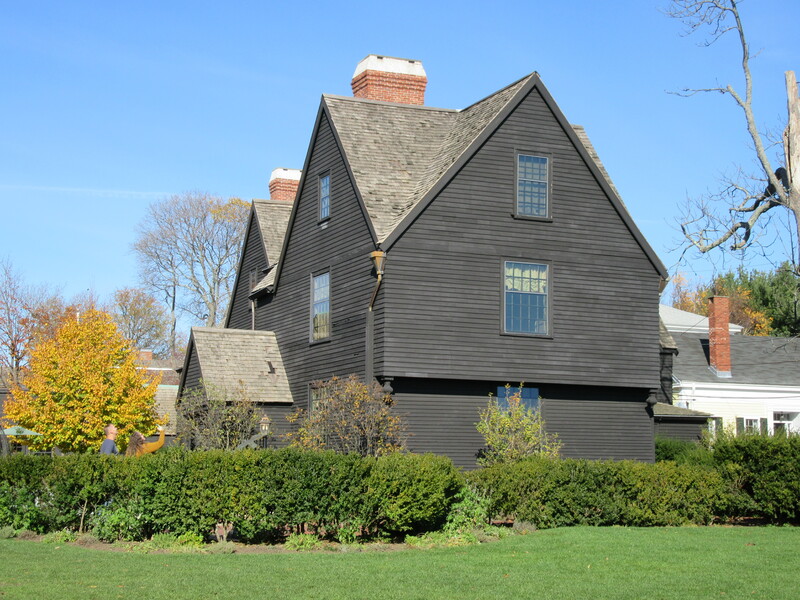 Kathy also attended the Writer Unboxed Unconference in Salem, where she attended a session at the House of the Seven Gables, the inspiration for Nathaniel Hawthorne’s novel. After some online confusion with another author writing under the same name, Kathy now writes under the name M. K. Waller. And–[drum roll! ]–the publication of MURDER ON WHEELS (Wildside, 2015), winner of the Killer Nashville 2016 Silver Falchion Award, was such an exhilarating experience that Austin Mystery Writers are now putting the finishing touches on a second manuscript: an anthology comprising stories by four AMW members and eight of their writer friends, tentatively titled TEXAS TOUGH. So watch this space! When TEXAS TOUGH is ready for reading, you’ll be the first to know. Welcome Patric Sanders Back to AMW! V.P. Chandler here. In continuing my interview series with AMW members, I’d like to introduce you to Patric Sanders. Patric was a previous member who has recently rejoined our group. VPC- Welcome back to the group! Why don’t you tell us a little something about yourself, like where did you grow up? I was born in Berlin, one month before Hitler invaded Poland, which started WW 2. When the Allied air raids increased in 1942, my mother and I, together with other mothers and children, were evacuated from Berlin, first to rural Silesia, then to Pomerania – now Western Poland. At the end of the war, when the Russians had overrun Berlin, we trekked from close to Prague with a hand-drawn cart back to Berlin. We found our apartment was burned out, and most of our furniture and belongings were destroyed. I grew up in the Russian sector of the divided city of Berlin. My early play-ground were ruins, discarded trucks and tanks. Even at a young age, the finding of food (berries, fruit, grain), fixing appliances and collecting firewood were important tasks to help my mother. East Germany was plundered by the Soviets. Rails, machinery, any steel products were taken to Russia. Later, they were returned as Soviet tanks and artillery pieces. German scientists and engineers disappeared from the streets, abducted to Russian research facilities and factories. But the Western part of Berlin and West Germany received generous assistance from the United States through the Marshall Plan, and many personal gifts by American families through CARE packages and donations. West Germany and West Berlin were rebuilt and quickly became prosperous. When my mother and I visited our relatives in West Berlin, we enjoyed rarities like oranges, bananas, chocolate, and I loved Wrigley’s chewing gum. I studied electrical engineering & marine electronics at the University of Rostock, which incidentally was founded in 1419 – 73 yrs. before Columbus ‘discovered’ America. The border in Berlin was open and I often took the commuter train/S-Bahn to West Berlin. I enjoyed Western movies with Gary Cooper, John Wayne and Burt Lancaster – one of my favorites was ‘The Magnificent Seven’ with Yul Brynner and Steve McQueen. Reading the German author Karl May, I was fascinated by the American West, by trappers and Native Americans. As so many Germans, I had ‘Fernweh’ – the urge to travel, the longing to see distant places. I often went to the Amerika-Haus in West Berlin, a place forbidden to visit by the communists, where one could watch American news reels and movies, listen to jazz, or read American magazines and books. I dreamt about this far-away land America – this perceived bastion of power, wealth, ingenuity and freedom. On that fateful day of August 13th 1961, when the Berlin Wall went up, I was visiting my mother in East Berlin. On that day everything changed – the only window to the free West was now closed. Nobody was allowed anymore to cross the Wall. Many people tried and got shot, some bled to death in the ‘no-man’s land’, the death strip. After university I worked as a test engineer for navigation systems at a shipyard in Stralsund. Six months later, I was drafted into the National People’s Army – NVA. Because of my electronic knowledge, I soon was put in charge of a secret Russian radar unit. After serving 18 months in the army, I worked as an engineer for the State marine electronic company. Now I was hounded by the East German secret police Stasi to join them, to spy on foreigners – but I resisted. I feverishly looked for a way to get out, to cross the border. Finally, in the summer of 1966, I escaped to West Germany in an adventurous way – I describe all this, the Stasi harassment and my escape in detail in my book ‘Chasing The Sun’. VPC- Where else have you lived? After my escape to the West, I found a job as electronics officer on a German cable ship In Hamburg. Nobody onboard, except for the captain, knew its mission. We sailed across the Atlantic to Portsmouth, NH and loaded cable. American immigration officials denied my entry permit. Then I discovered the power of the American free press. A young reporter wrote a three-part story about my life under Communism, my escape and the denial of entry into the US. Shortly thereafter, politicians up to the NH governor intervened on my behalf, and I could finally set foot on American soil. I explored New Hampshire, Maine, Boston and even visited the ‘Big Apple’. In early 1967, we headed across the Atlantic for the Suez Canal and on to Singapore. After steaming into the South China Sea, our captain announced ‘Your pay will now double. We’re entering a war zone.’ For several months, we laid communication cable for the US Air Force around South Vietnam, from Da Nang to Nha Trang, Camh Ran Bay and Vung Tau, all the way to Thailand. From the ship we saw quite a bit of fighting, once we were almost blown up by Viet Cong swimmers, but they attached their limpet mines to a British tanker which was anchored close-by and blew it to pieces. After completing my contract, I went to London and worked for the Decca radar and navigation company – the same company which under the Decca record label had rejected the Beatles, but signed on the Rolling Stones. I studied English and English literature at a Cambridge university extension and at school met my future wife. In 1968, I decided to go after my old dream – America. I got married in London, and I found a job in San Francisco. The year was 1968 – hippies, drugs, protests, racial unrest and crime (we were burglarized & completely cleaned out!) were unfamiliar experiences for us. Future jobs took us to Orange County, Southern California, then to Houston. Through my jobs, I was transferred back and forth between Houston and Seattle several times. With my electronic background, I worked in the marine industry, in merchant shipping, the offshore oil industry, in commercial fishing on the Pacific coast and Alaska, and in the defense industry for the US Navy and the German Navy. During my professional career I saw many interesting places and met great people, and I took notes. VPC- How did you come to live in Texas? Do you like it? After living in the Seattle area for 25 years, in 2005 we had enough of grey skies, drizzle and rain and we retired to Texas sunshine. We love the Austin area and like to hike in the abundant nature parks together with our rescue dog Max, a Blue Lacy, the Texas State dog. VPC- I know that you like American music, like Jazz. What is your favorite music? Did it influence your life? Is it mentioned in your stories? I like music in many varieties, from rock’n’roll to Blues, Jazz to classical music and opera. When I write, I like to listen to Mozart and Vivaldi. I include music, classical pieces and hit tunes in my writing. In the mid-nineties, I even made a career change and ended up in the Music industry. I directed international marketing for a Seattle-based manufacturing company (audio mixers, amplifiers and studio speakers), traveling all over the world. VPC- What other types of life experiences do you use in your stories? During an adventurous vacation in Australia, while diving at the Great Barrier Reef, hiking through the croc-infested swamps of Kakadu National Park and exploring the wild shores of Tasmania, I decided to write an adventure story. I got my first novel published through Random House Germany in Muenchen – ‘Der Schatz vom Barrier Reef’ – The Treasure of the Barrier Reef, under my pen name Patric Sanders. VPC- Tell us a little about your books? My wife urged me to write in English about my life in East Germany and my escape. Based on facts and experiences during that time – life under a communist dictatorship, the far-reaching power of the secret police Stasi and how people coped – I wrote two fiction novels, the cold-war thrillers “Chasing The Sun” and “Singed By The Sun” – both are self-published under Patric Sanders, and available on Amazon Kindle. A third book in the series is in the works – “Hostile Harbors”. VPC- What are you working on currently? As a follow-up to my German adventure novel (set in Australia), I’m writing an adventure thriller ‘Lethal Encounters’, set in Europe, the Pacific Northwest and Hawaii. It’s an international intrigue, where Russian criminals, German combat swimmers, Navy Seals and an adventurer and his Hawaiian friend, who look for the remains of a Spanish gold galleon, collide on a remote Hawaiian island. Thanks, Patric, for the interview. I’m happy for this opportunity to share your story. For more information about his books, here’s the link to his Amazon Author page.